Northwest National Real Estate: Sale Pending! 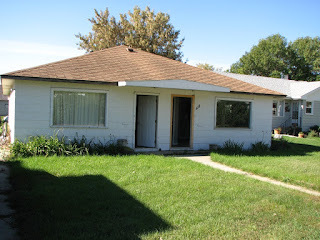 Remodeled Duplex! A one bedroom and two bedroom duplex with one bath each. Both have been remodeled on the interior with flooring, paint, and kitchen cabinets. A little bit of TLC and they're ready for tenants. The local newspaper and Chamber indicated that the rental market is still strong and should be easy to fill up. Priced at $99,900. Call Earl Handy to see the inside. 406-228-2114 or anytime at 760-954-3301. Seller motivated to sell!! !